Hello and welcome to Grizzly Andrew's Chainsaw Carving. All of my custom carvings are made to order in a number of poses. I am also available to do on-site, in-person carving on a limited basis due to my day job. All of my bears are done COMPLETELY with a chainsaw, with the exception of light hand sanding done on the nose and base. No molding or cast reproductions here. 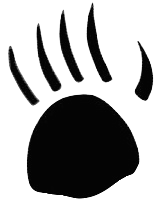 Each bear is completely unique from any other. I also pride myself in my meticulously detailed style that outshines most other carvings. Although chainsaw carvings are the majority of my work, I also create many rustic decorative items. Use the links above to preview my hand hewn mantle pieces, hand painted antique saw blades, rustic furniture pieces and home decorations. 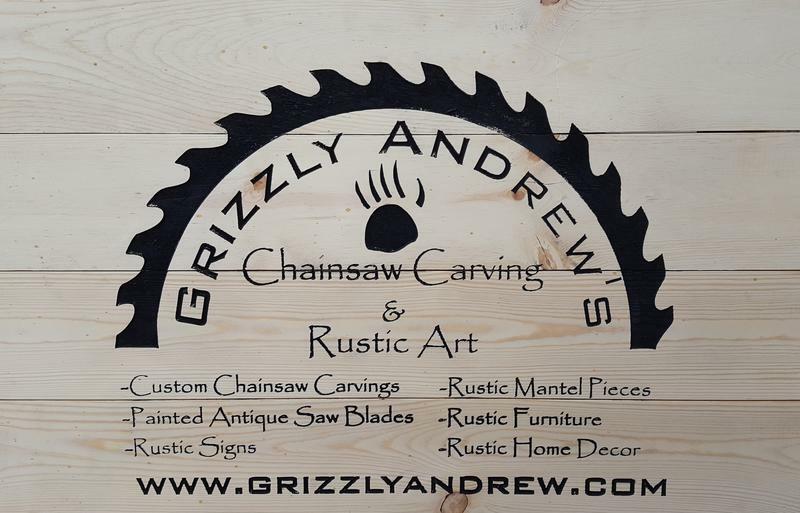 I would love to carve a custom piece of rustic art for you; so call or email me about your dream creation today.